What a fabulous start to the new academic year. It has been lovely to welcome the children back to school over the last couple of weeks. I am always energised to come back to the new academic year- it is fascinating to see how much the children have grown over the summer , to hear their tales of adventures and to welcome new students to the school. There is a lot of excitement as the children settle into their new classes and meet their new teachers. I am incredibly proud of the children as they have come back into school with such a positive attitude and have shown eagerness for their learning and are working hard. I am pleased to announce that our school calendar is now live on our school website. I will continue to send reminders about forthcoming events through my weekly newsletter. Something new this year is that we have introduced an additional calendar of Head and Deputy Head assemblies that take place on Thursday afternoons. These assemblies will take place in addition to our other weekly assemblies but will focus more broadly on the themes around our pupils’ personal development. Last Thursday’s assembly focused on welcoming pupils back to school and thinking about the things we can do to help make people feel welcome. 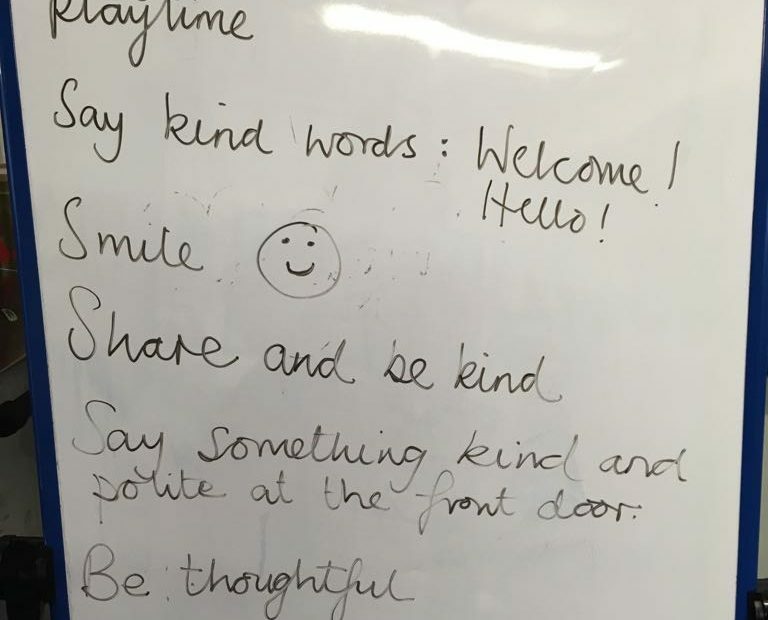 Together as a school we created a list of ideas: these included smiling; being kind and saying hello; sharing and being kind; being considerate and saying kind words. We soon realised that some of these things sounded like our 5 Golden Rules! It was a lovely start our new calendar of assemblies. The list the pupils compiled was posted on our facebook page today, so do take a look. This Thursday’s assembly was an opportunity for us to revisit the rule ‘We care for our school’ and to think more about the role we all play in looking after our school. Lunchtime clubs will be starting next week. A poster of clubs on offer have been sent out on ParentMail. Isabella in Year 4 for being runner up in the Sussex County Championships. Congratulations! Kali in Year 5 who passed her Grade 2 Singing. If your child has done something wonderful, I want to know and love hearing from you so please speak with me on the gate or send an e mail through Miss Taylor. Friday 21st September: Jeans for Genes – wear non-school uniform (something denim!) and bring a donation. Finally, to those who have received a contact form or photographic consent form, please return these to Miss Taylor as soon as possible. Wishing you all a great weekend and I look forward to seeing you all on Monday for another week. Don’t forget to visit Deepdene Prep, our school Facebook page to get a further insight into Deepdene school life.